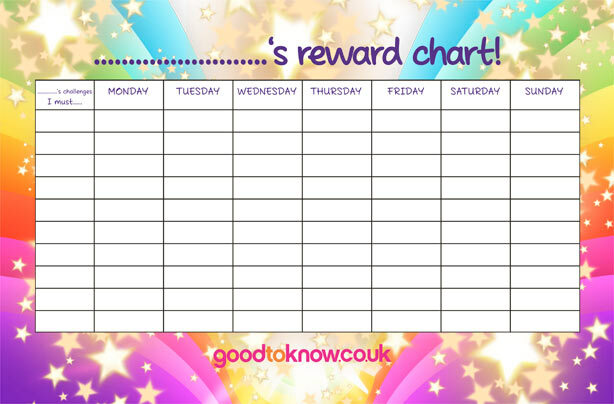 Reward your child’s good behaviour with this fun reward chart, which you can personalise with their name and stick on the fridge. Decide on the goals you want your child to achieve, such as keeping their room tidy or eating all their dinner and write them in the ‘challenges’ boxes. Everytime they achieve a goal, glue a star on to the day. 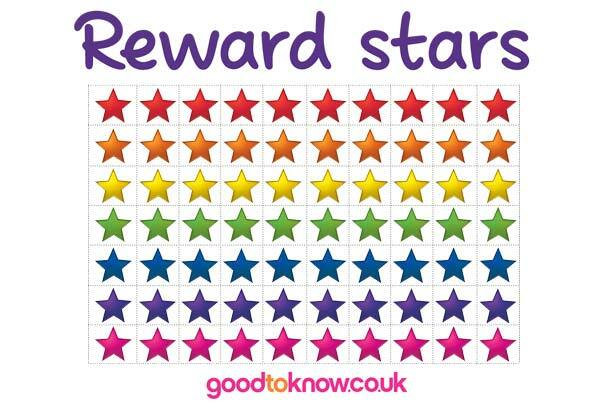 Your child will love trying to collect all the different coloured stars each week and you’ll love seeing how good they’ve been. This reward chart can be used from toddlers to young children. Just choose realistic challenges for your child and start off with easy things if you’re trying this chart out for the first time. You could even use it when potty training your little one or take an older child to choose different stickers each week (if they’ve been good). You might also like to help your child stick to their goals by agreeing that if they achieve 15 stars by the end of the week, for example, they’ll get a little reward like a small toy or sweet. Letting your child choose their own reward will make them more likely to succeed. You could even stick a picture of their reward on the chart so they’ll be able to see what they’re working towards. Then week by week you could gradually increase the amount of stars it takes to get a reward. Click on the reward chart and reward stars to download your free PDFs. How do you get your child to behave? Tell us in our comments section below or on our Facebook fan page.